Happy Book Birthday to Ged Adamson and MEET THE MCKAWS! Book Birthday Interview with Ged Adamson, Author and Illustrator of ELSIE CLARKE AND THE VAMPIRE HAIRDRESSER! 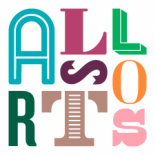 Meet the Allsorts (5): New Batch!